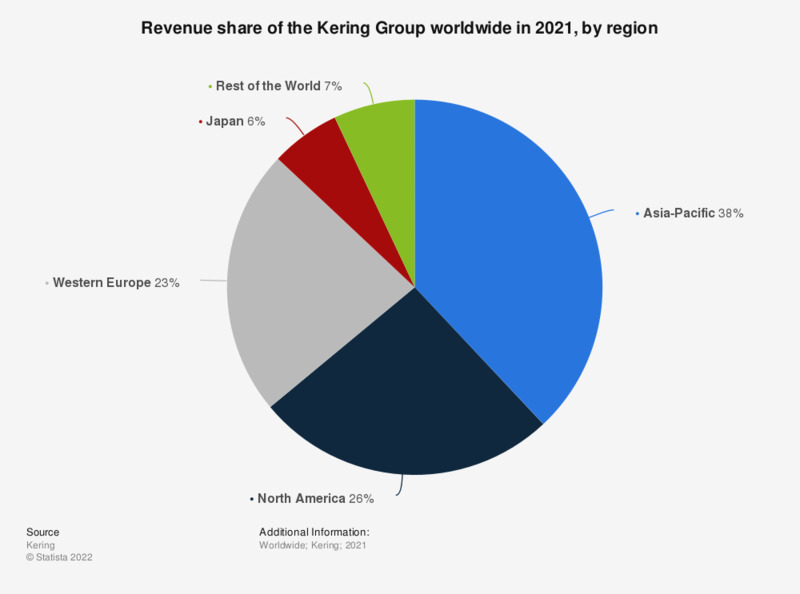 This timeline depicts the revenue share of the Kering Group worldwide from 2012 to 2018, by region. In 2018, 20 percent of the Kering Group's revenue was generated from the North American region. Total revenue in 2018 amounted to approximately 13.67 billion euros. * Includes Eastern Europe, Middle East and Africa and South America.